Mood: Too young to be this old. Well, I don't have many yet -- just the free King and Queen, but I'm saving up to buy a Photon Spirit. 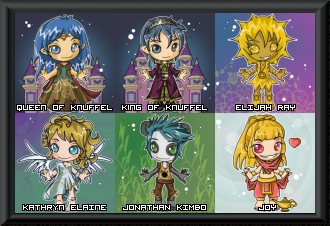 Right now the main reason I'm making my own "show off" thread is because I can't squeeze in even just the royal couple into my Gaia signature -- the shortest I could manage (even with TinyURLs) was well over the limit. Anyhow, here they are. Feel free to feed them. however, a significant number of electrons were slightly inconvenienced. I love the way the earth rotates. It really makes my day. Questing for: Nothing at the moment. their cool. Also I like your kimono outfit. please feed and help them grow. thank you. BTW, I fed your Queen of Knuffel and clicked your eggs. Yippee! I finally saved up enough to get my Photon Spirit! I'm going to add him to my original post, but I wanted to make a separate post so I'll be able to see when I got him. Here are some of my avatars from other sites. I got my Winged Muse today! 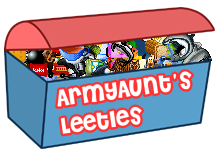 Click the banner to help me feed my Knuffels! My current brood should be in my signature. October 12, 2012, earning me my silver trophy! which grew up on April 4, 2014. I finally got an alt! Bred it myself, even! It grew up on July 16, 2014. This lovely lass is my 500th dragon. She grew up on June 28, 2015 and earned me my gold trophy! This handsome fellow is dragon #600.
this post since they're also from TJ09 (the founder of Dragon Cave).